A few hours on the train north-west of Paris and you’re in the beautiful Normandy region of France and with Karma’s two new properties, Karma Manoir des Deux Amants and Karma Residence Normande, you’re close to some of France’s richest cultural heritage. A major agricultural region, Normandy’s creamy camembert and delicious ciders will keep you fuelled, while its coastline of stunning beaches and impressive limestone cliffs will keep your head turning. Its colourful role in Europe’s history means there are museums and cathedrals galore, and of course it’s also the birthplace of impressionism. Considered one of the Wonders of the Western World as well as one of France’s most popular attractions, the UNESCO-listed Mont Saint-Michel lives up to its hype. 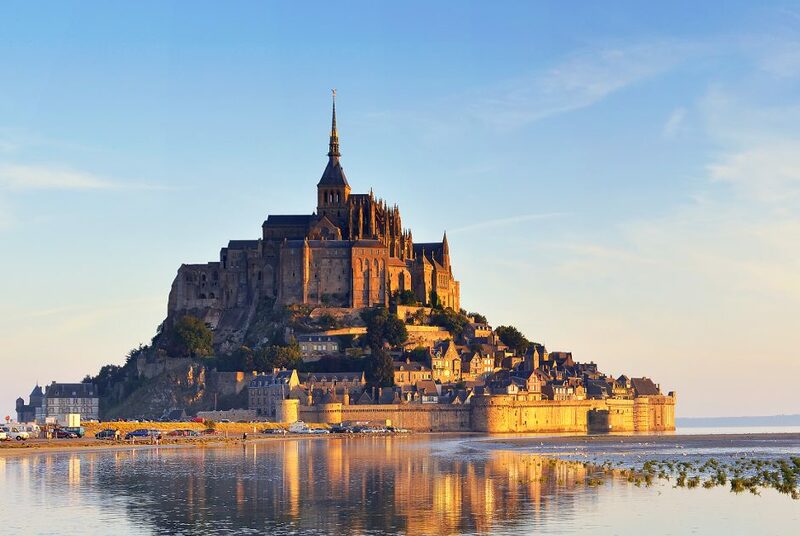 This spectacular medieval island commune with its vast abbey perched atop a rocky outcrop in the bay where Normandy and Brittany merge has been a centre of learning and pilgrimage for over 1000 years. On a lighter note, try the butter cookies from one of the stores below the abbey. In World War II, Normandy was the site of the largest seaborne landing in history with 156,000 American, British and Canadian troops landing on five heavily fortified beaches. The war memorial museums and D-Day landing beaches, including Omaha and Arromanches, are well worth a visit. Rouen is exceptionally picturesque, full of gothic churches, a cobblestoned town centre with medieval half-timbered houses and a skyline dominated by the spires of Cathédrale Notre-Dame. But for better or worse its best known as the location of Joan of Arc’s trial and death on the funeral pyre in 1431. A rugged and verdant area reminiscent of the Swiss Alps, it’s a nature lover’s paradise with plenty of outdoor activities to make the most of the River Orne and the rocky gorges such as hiking, mountain biking, paragliding, rock climbing, kayaking and more. The Suisse Normande Route, a 65km tourist trail, follows the winding river bank, with plenty of interesting pit-stops along the way. Bayeux is the capital of the Bessin area in Normandy and home of the UNESCO-listed tapestry depicting the Norman conquest of England in 1066. The Bayeux Tapestry is an impressive 70m long and 50cm tall with over 50 detailed scenes, each with a Latin caption, providing a stunning visual account of life in 11th century Normandy and the events leading up to the Norman invasion of England. A not-to-be-missed excursion for visitors to Normandy.